Several years after arriving in the United States, Grandmaster Fu began to train his senior students here to teach the Emei seminars, knowing that the only way for Emei Qigong to flourish in the West was for it to be taught by Westerners who had made the practice their own. All of the teachers listed here are certified by Grandmaster Fu to teach Level 1, the three- or four-day introductory seminar to Emei Qigong. Many are also certified to teach the six-day Level 2 seminar, and the 10-day Level 3 seminar. Teachers must teach Level 1 before teaching Level 2, and must teach Level 2 before teaching Level 3. Grandmaster continues to teach Levels 4, 5, and 6, all of which are teacher-training seminars. Students who have continued training with Grandmaster Fu for at least two years after taking Level 4 are recognized as disciples. Teachers who have taken the Level 4 and 5 seminars and who have taught Levels 1 and 2 are recognized as 14th generation masters of Emei Qigong. Teachers hold seminars, often offer free group practices (any charge is to cover the cost of room rental), and work with clients one on one. Please contact them directly for more information. If there’s no teacher near you, please use the contact form on this website and we will work to connect you with a teacher who can meet your needs. Certified teachers are available in the following areas. Each teacher's certifications, as well as their contact information, are listed as part of their bio. Catherine Burns’ dedication to the Chinese energetic arts began nearly 25 years ago, when she first felt a powerful surge of qi in her palm during a Taiji Chuan class. Inspired and curious, she began an exploration that took her from photography to acupuncture as a profession. Today her patients include CEOs from some of the top Silicon Valley companies, medical doctors, authors, sports figures and international musicians to the owner of a Kentucky Derby winner. She is a member of the Mountain View-based Network for Integrative Oncology and has been a senior acupuncturist at Stanford University, participating in studies funded by the National Institutes of Health that examined the use of acupuncture to treat depression in pregnant women and hot flashes after menopause. She has practiced Qigong and Taiji Chuan since 1985. She has taught at the San Francisco Zen Center, and she currently offers Wuji Gong classes and Emei Qigong seminars to benefit sentient beings in San Francisco and Belmont/San Mateo, Los Altos, and Palo Alto. In assisting students and clients with their healing process, Tyra Ferlatte blends the practical application of Emei Qigong techniques with her gift for understanding and interpreting the metaphors of daily life. She has spent years studying the Yi Jing (I Ching) every morning and draws on its wisdom when providing energetic information for rebalancing the body’s qi. She has trained with Grandmaster Fu since 2000 and was selected by him for the first Level 4 teacher training, held in 2006 at Emei Mountain in China. Tyra has also been a member of the Emei Qigong Advisory Committee, which supports Grandmaster Fu Wei Zhong’s work in the West, since it was formed in 2007. She has worked extensively on the English-language editions of Grandmaster Fu's books, and is currently their primary editor. Dr. Devatara Holman, DACM, L.Ac. Devatara Holman is a primary care health practitioner specializing in Oriental medicine, acupuncture, herbal medicine, Emei Qigong therapy and Buddhist medicine at her private medical clinic, Marin Oriental Medicine, in Sausalito. She has been a student of Emei methods since 1985 and a close student of Grandmaster Fu Wei Zhong since 1995, when she began assisting him as translator and interpreter. Devatara has dedicated her life to benefiting others through the wisdom of Buddhist medicine and the esteemed methods of the Emei Chan lineage, the Emei Qigong tradition. She has received extensive training in the transformational practices of Buddhism since the 1970s, is a close long-time student of H.E. Dzogchen Khenpo Choga Rinpoche, and a heart disciple of her root teacher, Osho. Unusually trained in Eastern philosophy, religion, and healing arts, she speaks Chinese fluently and lived in China and Tibet for almost a decade during the 1980s, where she studied the practical integration of medicine and spiritual practices. A skillful healer and educator, Devatara has also held faculty positions at the American College of Traditional Chinese Medicine and San Francisco State University. She was a co-chair of the Emei Qigong Advisory Committee, which supports Grandmaster Fu’s work in the West, for 10 years, and she a director of the Qigong Institute, a nonprofit organization dedicated to research and public education about Qigong and energy medicine. Wendy completed her intensive Level 4 teacher training with Grandmaster Fu in 2007, and has studied with him since 2004. She has been studying natural medicine and natural healing techniques since the late 1980s, and meditation and Eastern energetic arts since 1994. She started practicing Qigong while in acupuncture school in 1996. Wendy is a nationally certified acupuncturist, and licensed to practice acupuncture and Oriental medicine in the state of California. She maintains a private practice in San Diego, where she integrates Emei Qigong techniques into her practice of Oriental medicine. Wendy and her patients have had profound benefits from practicing and using Emei Qigong techniques. Wendy leads a weekly Wuji Gong practice group and teaches Emei Qigong classes and seminars. She’s been called a fun and entertaining teacher. Wendy is available for speaking and teaching engagements. In teaching students and working with individuals on their healing process, Kennon brings warmth, knowledge, and an ability to explain ideas in a way so they can be easily understood. Kennon began studying Emei Qigong with Grandmaster Fu in 2008. He completed the Level 4 training in China near Beijing in 2010 and the Level 5 training in 2012. His study and training in Emei Qigong is informed by his affinity with nature and the natural world, as well as by his longtime study of Buddhist philosophy. He also has a doctorate in clinical psychology and worked as a researcher in health behaviors related to disease prevention. In teaching Emei Qigong, Kennon’s wish is that anyone who is interested in Emei Qigong has the opportunity to learn and benefit. He is particularly interested in helping anyone who would like to teach so that others may benefit from the Emei tradition. In China, there is profound treasure. Emei Qigong is one of these treasures. Inspired by her Chinese ancestry, Celia is committed to using this ancient wisdom for the well being of mankind. 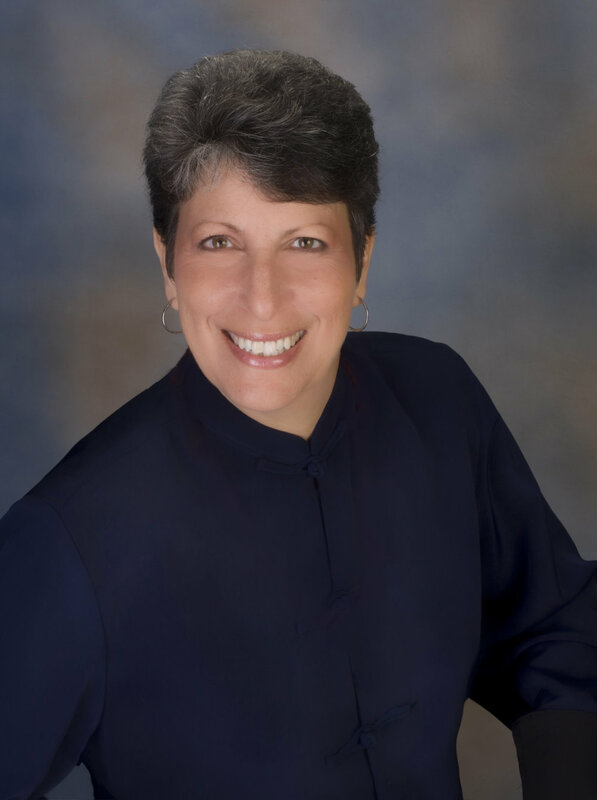 She has been a doctor of Oriental Medicine and a licensed acupuncturist in California since 1983. She has a B.A. in Mathematics and History from UC Berkeley; a Doctor of Oriental Medicine degree from SAMRA University of Oriental Medicine, Los Angeles; and an internship and Diplomate from Beijing Medical University, Beijing, China. She has been a faculty member of the Department of Chinese Medicine at SAMRA University of Oriental Medicine, California Acupuncture College, and the American Institute of Oriental Medicine, in San Diego, California, from 1982 to 1991. She has trained with Grandmaster Fu in Emei Qigong since 2002, and in 2006, she completed the intensive Level 4 teacher training with him in China. She is a 14th generation master of Emei Qigong and a disciple of Grandmaster Fu's. She is chair of the Emei Qigong Advisory Committee, which supports Grandmaster Fu's work in the West. Patricia has more than 22 years’ experience as a practitioner and teacher in Eastern traditions, including Qigong, Zen Shiatsu, and Chinese medicine. She incorporates Emei Qigong in her private practice, Qi Artisans, in Wallingford, Connecticut, and she is available to bring Emei Qigong to your area. A 14th generation Emei Qigong master, disciple, and teacher, Patricia is impassioned to help those wanting to follow this path. Her Zen Shiatsu training initiated in 1993, studying first with Pauline Sasaki and then doing intensive study of Quantum Shiatsu at the Daibosatsu Zendo in New York. 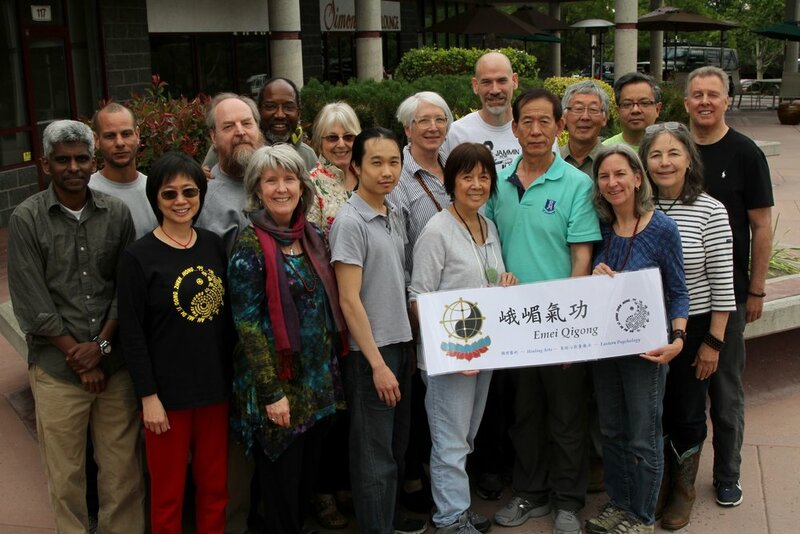 Patricia has had the opportunity to train with many gifted teachers of Eastern traditions and Chinese medicine, including Master FaXiang Hou, Jeffery Yuan, Lonny Jarrit, Shizuko Yamamoto, and Dr. Ming Wu. In 2002, she started her training with Grandmaster Fu Wei Zhong, the 13th lineage holder of the Emei Qigong tradition. In 2006, she completed the intensive Level 4 teacher training with him in China on her way to becoming a certified teacher. Her Level 6 training was completed in 2013. She is a member of the Emei Qigong Advisory Committee, which supports Grandmaster Fu Wei Zhong’s work in the West. After serving as a lay extension volunteer with the Catholic church, working with Native American tribes in the northwestern United States in a program similar to the Peace Corps, Diana began her career as a medical social worker. From there, she raised her family and also lived, worked, and taught in Israel. Upon returning to the U.S., she received a M.S. in Education with dual certification in regular and special education, followed by a sixth-year degree and certificate in supervision and administration. She specialized in teaching students with autism and multiple learning disabilities in inner city environments, and also served as college adjunct professor, training teachers. In addition, she worked with teachers in their classrooms on improving instruction. Upon retiring, Diana began the study and practice of non-violent communication and her study of Emei Qigong with Master Patricia Bolger in Connecticut and then with Grandmaster Fu in China. She became certified as an Emei Qigong teacher in December 2015. Certified to teach Level 1. M.J. has studied with Grandmaster Fu since 2004 and completed the intensive Level 4 teacher training in China in 2006. She was so profoundly touched by the grand method of heart cultivation and the powerful healing methods of Emei Qigong that she was inspired to become a teacher of Emei Qigong and a massage therapist in order to share this treasure with humanity. She is currently practicing massage and Emei Qigong healing methods and teaching Emei Qigong forms in the Orlando, Florida, area. Tatiana is kind and compassionate and has an instinctive understanding of nature and of harmony. She has always been interested in healing and bringing comfort to those around her, and at the age of six, she started to take care of street animals and helped heal the wounded or sick. She learned how to use herbs from her grandmother, a healer from a small forest village in Russia. Her destiny has taken her many places, giving her an opportunity to learn different local healing techniques in different parts of Russia, Cuba, Canada, and the United States. She speaks Russian, Ukrainian, Spanish, French, and English. A landscape designer and international chef, Tatiana has never lost her love for healing. She continued her study of herbs, pursued food therapy, and took classes with Grandmaster Fu. She was selected by Grandmaster Fu in 2006 for intensive teacher training at Emeishan, one of China’s most sacred Buddhist mountains. At present, Tatiana uses her extensive experience and knowledge to heal others and to teach how to promote self-healing. She helps people create a better inner and outer balance to improve their destiny and to promote physical, mental, emotional, and spiritual well-being. Gordon Keir feels very fortunate to be associated with Emei Qigong. “The quality of the teachings are of the highest level, integrating physical, emotional and spiritual wisdom together to support every facet of our life,” Gordon says. Gordon holds a Bachelor of Mathematics and has moved on from a 24-year IT career to teach and heal using the Emei Qigong techniques and knowledge. Gordon began studying Qigong in 2000. In 2008, Gordon received teacher training north of Beijing, with Grandmaster Fu. “You can choose to use individual Emei tools or the complete system to heal and balance your energy,” states Gordon. Now, along with his fellow teachers, Gordon is sharing Emei Qigong with anyone who is lucky enough to find their way to this wonderful path. After having practiced Yang style Tai Chi Chuan for more than 30 years, Felix developed a strong desire to broaden his horizons in Qigong and healing. In 2011, Felix had an opportunity to learn Emei Qigong from Grandmaster Fu, and he completed the Level 4 teacher training with him in China in 2013. Long before Felix learned Emei Qigong, he had had many ups and downs in his career and businesses and ended up falling into deep depression and anxiety. With the practice of Emei Qigong, he was able to regain his health and confidence. He has experienced the healing effect of Emei Qigong himself and has witnessed the successful healing of many others. These experiences have built a strong foundation in his heart for further learning Emei Qigong. In December 2014, Felix received a Best Social Service Award, presented by Chinese American Group in Las Vegas, Nevada, in recognition of his teaching Emei Simple Movements to the community, from which many people benefited. With his detail-oriented mindset, Felix likes to provide his students with thorough explanations to ensure their knowledge and understanding of the materials. Felix is currently teaching Emei Qigong in the Las Vegas area. Born and raised in Hong Kong, Brenda was exposed to Qigong for a good part of her life, but it was just something she associated with movies and tales until 2011, when she started studying with Grandmaster Fu. The healing effect Emei Qigong brings gave her a totally different perspective of this powerful discipline. Brenda is a civil engineer and her more dominant left brain does not allow her to get on the spiritual path easily. However, the structured system of Emei Qigong guided her to advance through the trainings, and she completed the intensive Level 4 teacher training in 2013. She feels the lack of tenure is not a reason to defer passing on the benefits of this knowledge and wisdom to others, particularly to other left-brained people who feel they cannot overcome the obstacles to reach their spiritual side. Brenda teaches and practices qigong healing in the Reno/Tahoe area in Nevada. Scott has been studying martial arts since the 1970s. He has learned Karate, Traditional Wing Chun Kung Fu, Chen Style Taijiquan, Ziranmen/Natural Style and Emei Qigong. Scott started studying Emei Qigong in the late 1980s and the first time he cultivated on Emei Mountain was in 1990. Scott began studying personally with Grandmaster Fu upon his arrival to the United States in 1995. Scott has been awarded various national and international titles, degrees, diplomas, hall of fame awards, and gold metals, but none of them means as much to him as the healing work he does with Emei Qigong techniques. With a master’s degree in Educational Administration and Supervision, Scott currently works as a high school physical education teacher and also teaches Emei Qigong seminars. Kirstin Maestri began studying Emei Qigong with Grandmaster Fu in 2005. She completed the Level 4 teacher training in 2010 in China. She is dedicated to educating the public in the Emei Qigong heart cultivation techniques and helping others who may find themselves on the path to teach Emei Qigong. On a personal note, she says, “Emei Qigong has brought so much awareness, awakening and healing to my emotional and physical being, while revealing my spiritual path. I have been deeply impacted by this unique system of healing.” Kirstin teaches and is a private practitioner in Wyoming. In 2006, Melike became a student of Grandmaster Fu and got engaged by the traditions of the Emei Qigong school. In 2009, she started to study bioenergy, family constellation, and northern tradition body energy practices. In 2011, she completed the triangle for basic Chinese cosmology knowledge by training in Feng Shui, Bazi Chinese Astrology, and the Yi Jing (I Ching). In 2010, she invited Grandmaster Fu to Turkey and started to organize seminars in Istanbul: the Level 1 Healing Arts; Level 2, Changing the Moving Program of Life; Level 3, Chan–Yi Jing Healing: Clearing the Energetic Root Cause of Disease; BiGu and Food Therapy; and Exercise Therapy. In 2012, she translated the “Healing Arts of Emei Qigong” book into Turkish in order to share its knowledge with the public. Following that, she also translated “Changing the Moving Program of Life”; “Chan–Yi Jing Healing: Clearing the Energetic Root Cause of Disease” and “BiGu and Food Therapy” books into Turkish. © 2017 Emei Qigong. All rights reserved.